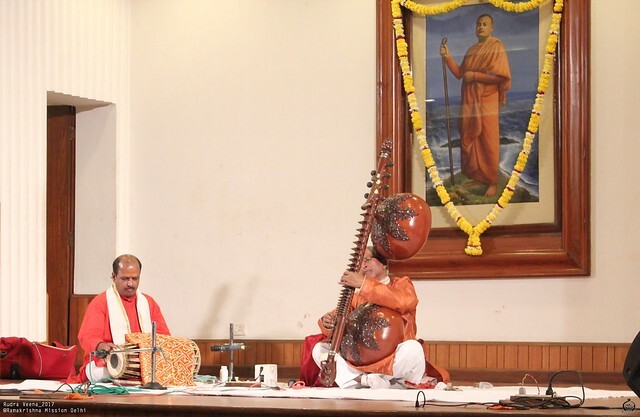 Rudra Veena by Shri Bishoke Kumar Sil and accompanied on Pakhwaj by Pt. 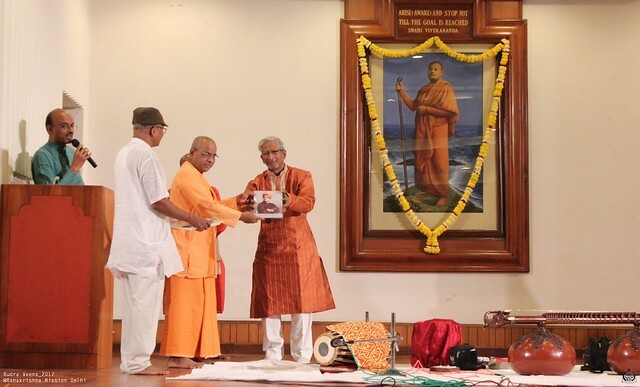 Harish Chandra Pati at Ramakrishna Mission, Delhi on 8th October 2017. 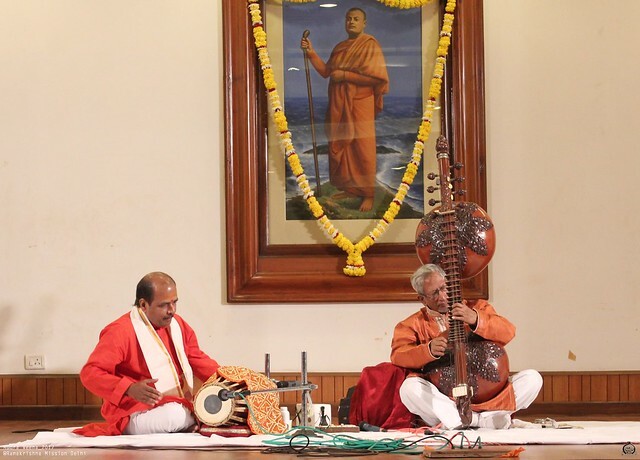 Rudra Veena is an instrument played by very few people in India. But, it has a link to very ancient traditions. 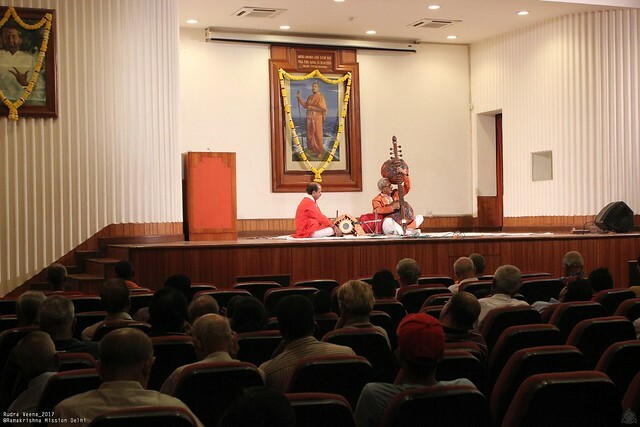 Shri Bishoke Kumar Sil performed on Rudra Veena in our Vivekananda Auditorium. 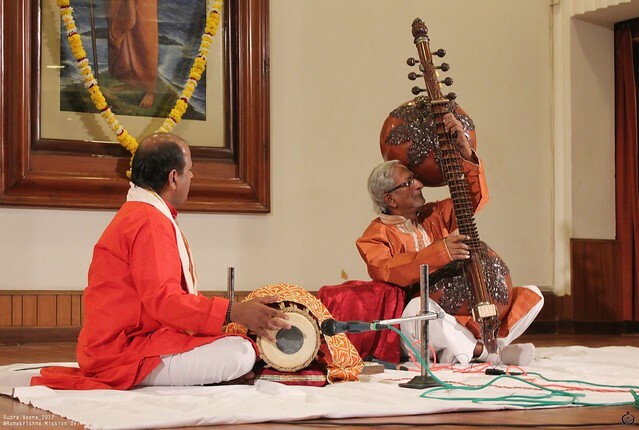 He has performed in several places such as Belur Math, Institute of Culture, Swamiji’s House, Varanasi Sevashrama, etc. 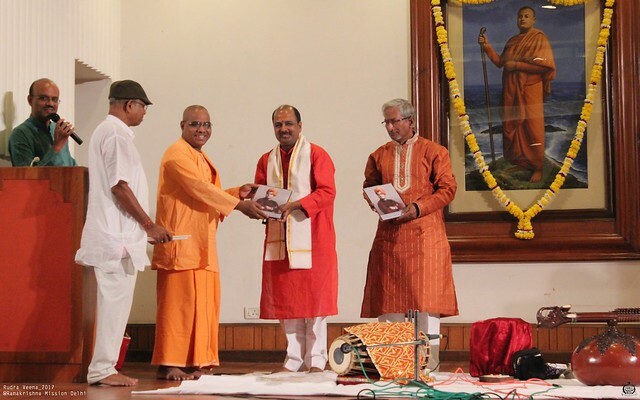 He also took part in a documentary by the Film Division of Govt. of India which was released recently. He was accompanied on Pakhwaj by Pt. Harish Chandra Pati. 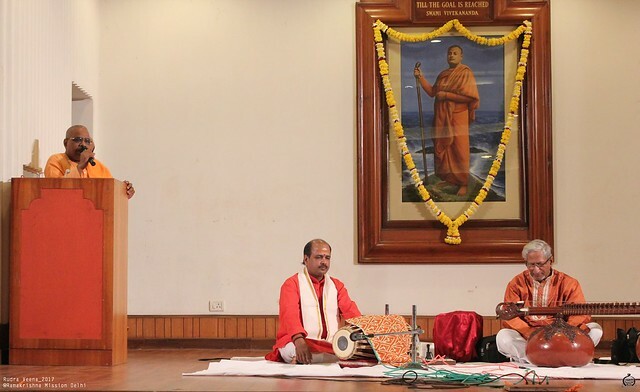 He has also performed in several places.